Today, we are announcing the second public beta of Formspider Mobile (FS Mobile). 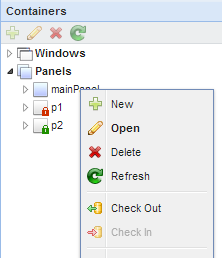 This version brings us one step closer to our goal of enabling PL/SQL developers to build cross platform applications. For the first time ever, FS Mobile enables PL/SQL developers to build native apps for iOS. Simply, download the Formspider Mobile Previewer from the App Store and run your apps natively on your iOS devices. FS Mobile Beta 2 includes new API's to create, edit markers and show directions between two markes on a map. We've already published three new tutorials about the new API's on the Formspider Learning Center. FS Mobile Beta 2 comes with new components that enable PL/SQL developers to access the camera and photos on mobile devices. Check out this tutorial to find out more about this feature. You can download FS Mobile Beta 2 from here. Enjoy! ING Emeklilik, the ING company in Turkey which operates in the insurance & personal retirement sector is a long time Formspider customer. 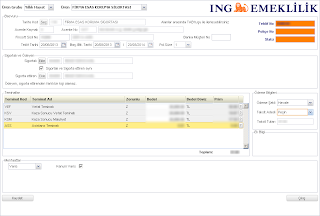 The latest use of Formspider at ING is in an Oracle Forms modernization project. Continue reading the case study at Formspider web site. Today, we are releasing Formspider Desktop 1.5. FS Desktop 1.5 introduces Team Coding, a feature that’s been asked by many PL/SQL developers who work in groups. The new Formspider IDE allows a developer to check out objects that he is working on to prevent other developers from editing them until he checks them back in. 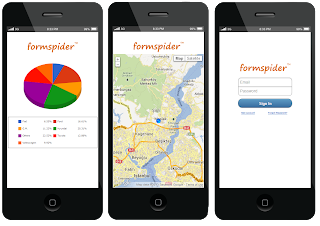 Today, we are happy to announca the release of Formspider Mobile Beta. FS Mobile will enable PL/SQL developers to build cross platform native applications for mobile devices. Go to our web site to find more about FS Mobile and download it. 1) Infinite Scroll FS Mobile applications implement infinite scroll and developers can take advantage of this feature without any coding. 2) Charts and Maps FS Mobile Beta includes declarative chart and map components. 3) Best of Formspider Everything you love about the original Formspider (now called FS Desktop) such as full transaction control, data aware UI components and true multi browser support exists in FS Mobile as well. Download Formspider Mobile Beta today. This Formspider tutorial explains how to save the current state of a Grid component and restore it at a later point in time. This feature can be used to help users to store and later re-run the custom reports they prepare using the built-in features of the Grid component such as resizing, locking and moving Grid columns. Click here to read the tutorial. We are happy to announce the release of Formspider 1.4. FS 1.4 brings further improvements to the Grid component along with a bunch of other enhancements and bug fixes: Locked Columns The new Grid component features the ability to lock columns. This enables users to scroll horizontally through a large set of columns in a Grid without losing context. Save/Restore Grid State FS 1.4 features new API’s which allow developers to retrieve the current state of a Grid (order of columns, applied functions, hidden columns etc…) and apply this state to the Grid at a later time. This enables FS Developers to save the custom reports a user prepares in a Grid and have the user run these reports at a later time. You may view the full list of new features and enhancements here. This year, theScotland Oracle User Group Conferenceis being held on June 12th at the Oracle Linlithgow Office. At the event, I will be presenting “Building Applications with PL/SQL for the Cloud”at 10:10 in the Cloud track. If you are attending the event, let me know. I’d be happy to meet. Craig O'Neill is the Founder and CTO of CaoSys and a recent Formspider customer. This is the feedback he left on our Q&A site. How does Formspider help PL/SQL Developers in building secure applications? Formspider has a number of built-in countermeasures to help developers build secure applications. Implementing security best practices at the framework level, instead of application level, has multiple benefits. ACE Director Lewis Cunningham blogged an interview he made with the Formspider founder Yalim K. Gerger. Quick reminder that, on January 31st starting on 13:30 we are hosting a Formspider Day at ITU Technopark. Click here for the program of the day and register. If you'd like to find out how you can develop applications for the multi-device, multi-platform world of today with PL/SQL, you are invited to our event at the ITU Technopark on January 31st. Click here to view the day's program and register. On January 31st, we are hosting the Formspider Day Istanbul at ITU ARI Technopark in Maslak. Join us and find out how Formspider can help you to build first class applications for today's multi-device, multi-platform world. Click here for the program of the day and to register for the event. Looking forward to meeting you on January 31st. We just published a new tutorial that shows how to use the Interactive Reporting features in the latest version of Formspider. You can read the tutorial here. You can view the demo application here. Rhenus, one of the biggest logistics company's in the world, uses Formspider. Find out why Rhenus chose Formspider over Oracle Apex. Below is a three minute demo of the Formspider application the Rhenus team has built. We upgraded all Formspider Cloud accounts to version 1.2. Formspider 1.2 comes with built-in security, interactive grids, gauge charts and a significantly faster middle tier optimized for Glassfish and Weblogic. If you don't already have an account, create one here and start building world class applications with PL/SQL. You may also download Formspider 1.2.